When you want to rent a car you want a choice. Car Rental Siargao gives you that choice, with a fleet of twenty cars in four different shapes and sizes. All our cars are spacious, comfortable and very economic on fuel – ideally suited to car rental on the roads around Siargao island. All rental cars are fully registered, covered by comprehensive insurance and maintained to the highest safety standards. 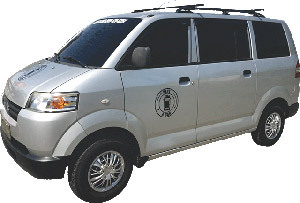 Siargao Car Rental chose the Suzuki APVs for the adventurous group that needs room for up to eight people or a mix of people and sports gear. Suzuki APVs are available with an Automatic transmission or a Manual, stick-shift transmission – we have six of each - so let us know ahead of time to ensure maximum driving pleasure. Fully loaded these Suzuki APV rent a cars will get you around Siargao Island at around 8Km/Ltr – that's more than twice around the island on one tank of gas! Because not everyone renting a car in Siargao is part of a group, we recently introduced the Toyota Wigo for the romantic couple who want to escape and explore by themselves. The Toyota Wigo will accommodate up to 5 persons but is happy to transport just the two of you to either, a perfect Siargao white sand beach or, one of Mother Nature's extravagances that define Siargao island. 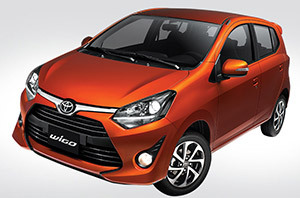 Four Toyota Wigo cars are available for hire; choose from manual or automatic transmission. We recently added four Toyota Avanza cars for hire in Siargao for those sporty types who want to carry a little more gear and need a little more grunt and a little more ground clearance than the Sukuki APV. The Toyota Avanza is offered with automatic transmission to give you the smoothest drive around Siargao Island. The newly arrived Toyota Innova automatic transmission, for those with family needs who want more space and room for bags of beach gear. The Toyota Innova will accommodate up to 7 persons but is happy to transport just the a few with many luggage to either, a perfect Siargao white sand beach or, one of Mother Nature's extravagances that define Siargao island. 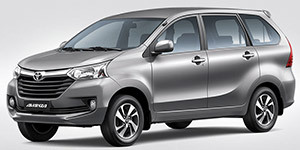 Toyota Innova cars are available for hire, all with automatic transmission. We provide the rental cars, you choose your destination! Need a recommendation? State you preferences to Car Rental Siargao when you start your adventure or, check out the Siargao Attractions from the page-top menu.